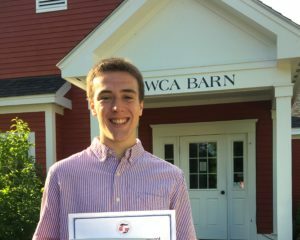 Aidan Terhune – former Board Member and a winner of the 2016 Kay White Memorial Scholarship. 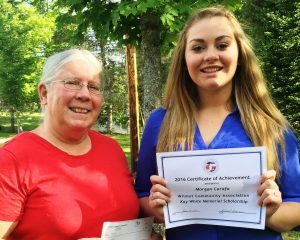 Nancy Large, WCA president, awards Morgan Carafa with her certificate. 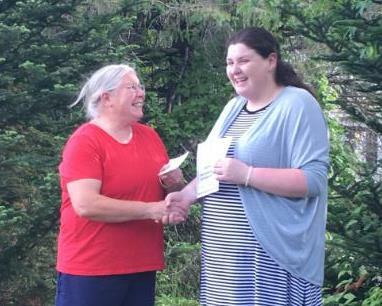 The Wilmot Community Association is pleased to announce the recipients of the 2016 Kay White Memorial Scholarships. Named for a longtime friend of the WCA and volunteer, this year’s scholarships go to Aidan Terhune, Jenna McCarthy and Morgan Carafa. All three scholars are from Wilmot and graduated of Kearsarge Regional High School this past June. 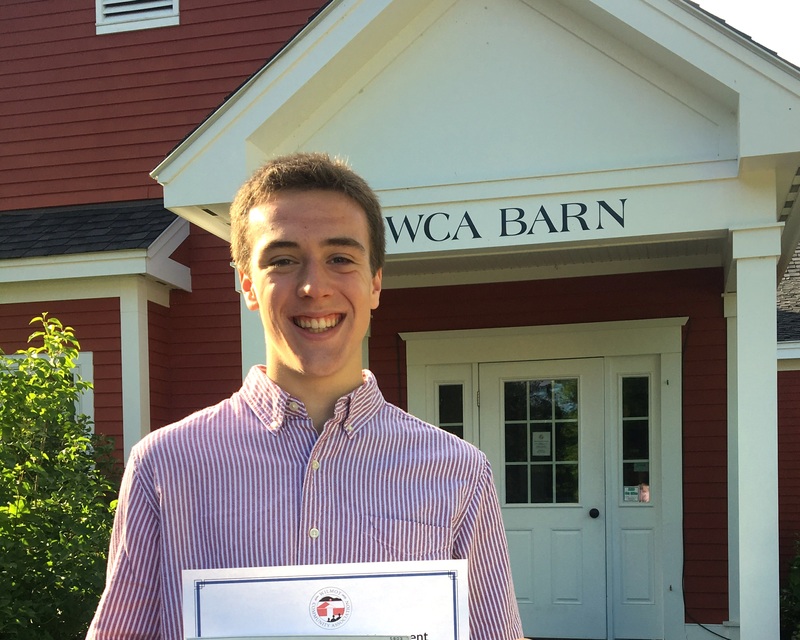 Aidan will attend the University of Michigan and will major in Mechanical Engineering. Jenna heads off to the College of Saint Rose to study graphic design. Morgan will study media and communications at High Point University. This entry was posted in Kay White Memorial Scholarship, WCA News by admin. Bookmark the permalink.